Orioles legend Frank Robinson passed away in California today. 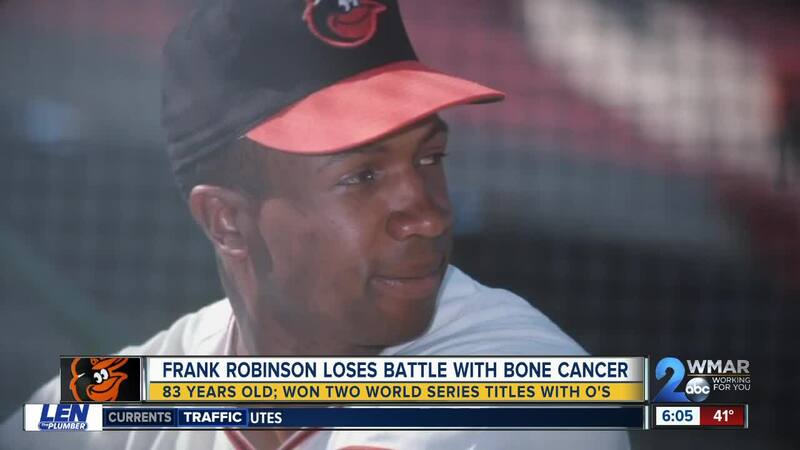 BALTIMORE — Orioles legend Frank Robinson passed away in California today. The 83-year-old former outfielder and manager was in hospice care at the time of his death. Robinson was an Oriole from 1966 through 1972, donning the fabled #20 jersey. 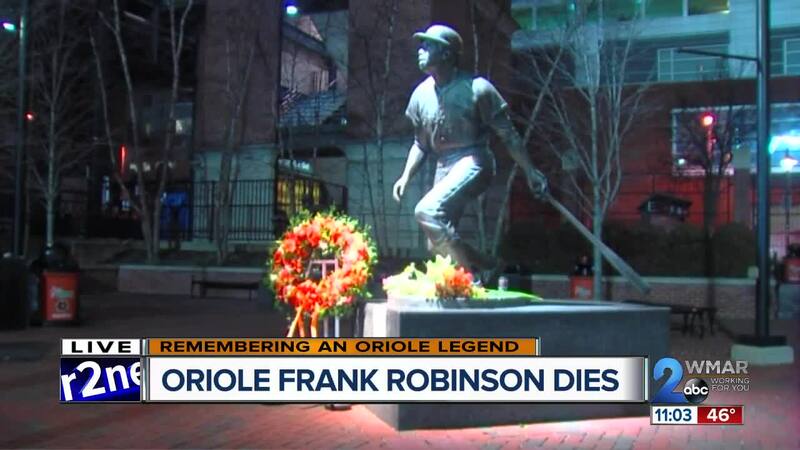 A statue memorializing him sits inside the gates of Camden Yards. Between 1956 through 1976, Robinson played for five teams during in his career, competing in both the National and American Leagues. While playing in Baltimore, Robinson helped the team win World Series titles in 1966 and 1970. He was the 1966 American League Most Valuable Player, the same year he won the Triple Crown as the league’s leader in runs batted in (RBI), home runs, and batting average. He was elected to the Baseball Hall of Fame in 1982. While playing for the Cleveland Indians, Robinson was named their player-manager in 1975, making him the first black manager in the history of the majors. He also managed for the San Francisco Giants, the Orioles, and the Montreal Expos, staying with the team as they moved to Washington and became the Nationals. He was named Manager of the Year in 1989, helping turn the Orioles into a winning club after a brutal 1988 record. "Today is a very sad day because I lost not only my teammate, but also a very dear friend. I loved Frank and got to know him so much better after we both retired. I spoke to him a few days ago and he sounded good. He wanted to be home. I let him know that Connie and I were pulling for him, and that he, Barbara, and Nichelle were in our prayers. As a player, I put Frank in a class with Willie Mays, Hank Aaron, and Mickey Mantle. He was the best player I ever played with. When he came here in 1966, he put us over the top. He was a great man and he will be deeply missed." Those looking to support the family can send contributions in Robinson's name to the National Civil Rights Museum in Memphis or the National Museum of African American History & Culture in Washington, D.C., the commissioner said.